Herman Knight Guthrie was raised in Ray City, GA where many of the Guthrie family connection have resided. 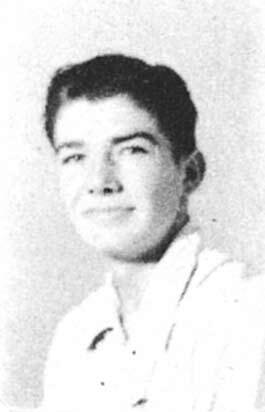 As a student, he attended the Ray City School, and was President of the Junior Class of 1948. Valdosta , GA , Us..
Herman Knight Guthrie, 72, of Valdosta, passed away Sunday morning, March 19, 2006, at his residence after a brief illness. He was born in Winter Haven, Fla. on Nov. 3, 1933, to the late Herman Brown and Agnes Knight Guthrie. At an early age, he and his family moved to Ray City where he lived until his graduation from Berrien County High School. He served in the United States Air Force as a aircraft mechanic in Japan and French Indochina. After returning to Valdosta he continued his career as an aircraft mechanic at Moody Air Force Base. He owned and operated Guthrie’s Gulf for 15 years. He returned to Moody in the transit maintenance department where he retired in 1995. One of his favorite pasttimes was auto racing, which he pursued as one of the founders of Thunderbowl Speedway. He was a member of the First Baptist Church of Valdosta for more than 50 years. His wife, Mary Jane Brooks Guthrie, preceded him in death. Survivors include two sons and daughter-in-law, Gary and Susan Guthrie of Powder Springs and Brad Guthrie of Valdosta; two grandchildren, Branyon Guthrie and Sarah Guthrie; brother and sister-in-law, Carroll and Jacque Guthrie of Ray City; two nephews, Larry Guthrie and Mike Guthrie; and two nieces, Carroll Jean Lawrence and Cara Lee Staples. Funeral services will be held at 2 p.m. Tuesday, March 21, 2006, in the Valdosta chapel of Music Funeral Services with burial following in Sunset Hill Cemetery. The family will receive friends tonight from 6 – 8 p.m. at the funeral home. Sympathy may be expressed online at http://www.musicfuneralservics.com. ? Music Funeral Services of Valdosta.